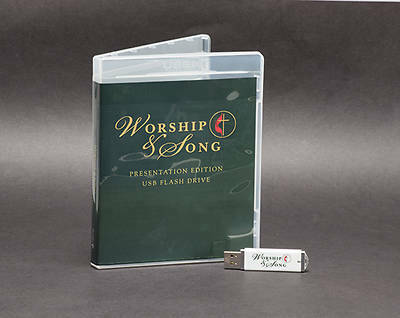 The downloadable files contains PowerPoint® files for each song. Each hymn has two backgrounds: a plain background, and an alternate thematic, photographic background. Backgrounds are interchangeable and may be deleted. Includes licensed use of materials. Cover includes the United Methodist Cross & Flame emblem. This downloadable file was created for the purpose of projecting its contents through a projection system for religious and educational use. Any additional uses will require that the user obtain either (1) permission from the owner of the copyrighted work or (2) a blanket license from a third-party licensing company, such as OneLicense (www.onelicense.net) or CCLI (www.ccli.com). Please refer to the copyright owners or licensing companies for more information. 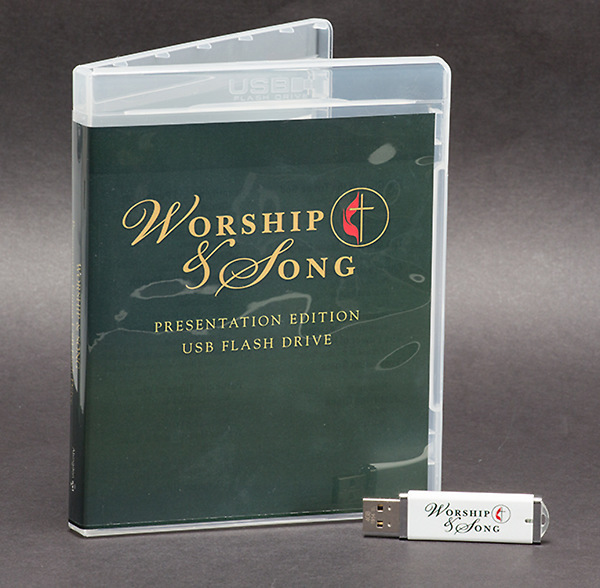 USB Flash Drive contains PowerPoint® files for each song. Each hymn has two backgrounds: a plain background, and an alternate thematic, photographic background. Backgrounds are interchangeable and may be deleted. Includes licensed use of materials. Cover includes the United Methodist Cross & Flame emblem. 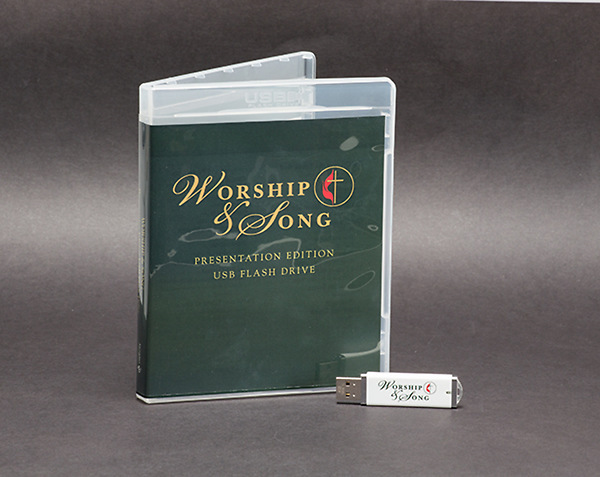 This flash drive was created for the purpose of projecting its contents through a projection system for religious and educational use. Any additional uses will require that the user obtain either (1) permission from the owner of the copyrighted work or (2) a blanket license from a third-party licensing company, such as OneLicense (www.onelicense.net) or CCLI (www.ccli.com). Please refer to the copyright owners or licensing companies for more information.